Festival season is still going strong and throughout August, and many big name musicians will be coming to Virginia. From major country acts to the biggest names in rock and pop, catch your favorite artists and discover new ones all over the Commonwealth. The City of Galax has the world tapping its feet as the Old Fiddlers’ Convention takes place in Felts Park Aug. 7-12. Musicians and fans from around the world travel to Galax to perform and hear the music that defines the sound of the Blue Ridge Mountains. A few hundred come with their instruments to show their skill, and compete for the cash prizes. 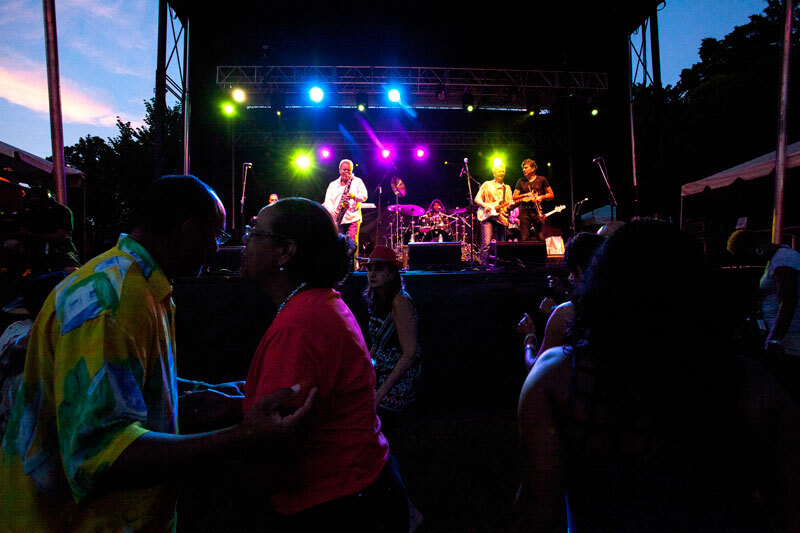 On Aug. 10-13, experience the world’s best jazz and R&B music at the Richmond Jazz Festival set against the beautiful rolling hills of Maymont. Acts performing this year include Common, Erykah Badu, the Isley Brothers, and many more. 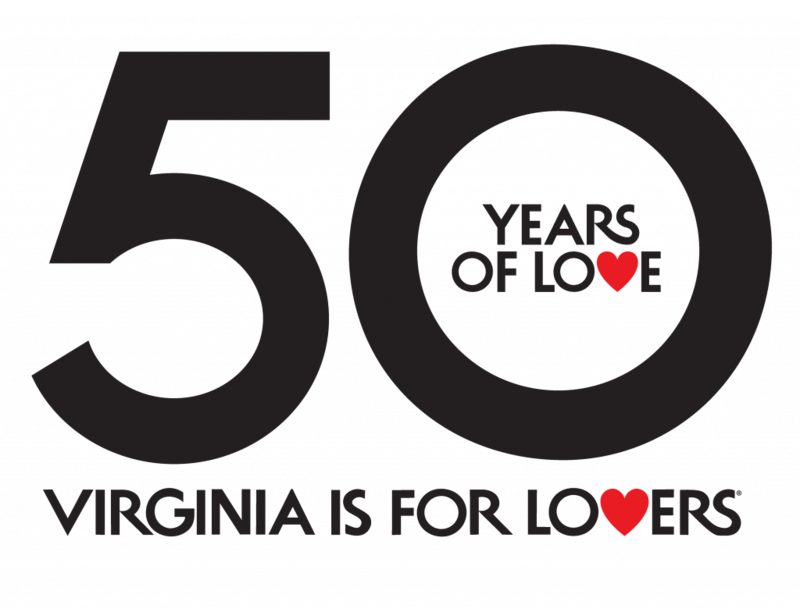 The Shenandoah Valley Music Festival has been bringing great music to the Shenandoah Valley for more than 50 years. Acts performing in August include The HillBenders and Seldom Scene (Aug. 11) and The Midtown Men (Aug. 12). Hear 60 of the world’s most acclaimed musicians performing in more than 20 concerts in historic downtown venues at the Staunton Music Festival Aug. 11-20. The daily concerts range from eclectic and feature chamber music from the Middle Ages to world premieres, performed by vocalists and instrumentalists from across Europe and the U.S. There are also free pre-concert talks and special offers with numerous downtown restaurants and hotels. 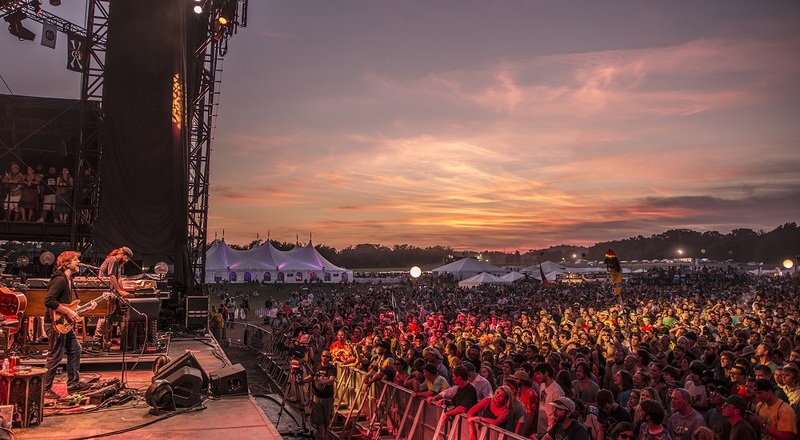 The Lockn’ Music Festival is a four-day music festival taking place Aug. 24-27 at Infinity Downs Farm with an emphasis on music, camping, outdoor activities, regional food, beverages, and artisans. Many of the artists perform over multiple days, and be featured in unique and exciting artist pairings. Artists performing at this year’s festival include The Avett Brothers, Widespread Panic, Govt Mule, and many others. Held on the campus of the University of Virginia’s College at Wise, the RTE 23 Music Festival brings a diverse mix of artists together on Aug. 26 for a full day of live music and celebrating all the old time music that originated in the area. Acts include Demon Waffle, The Broadcast, and the Marcus King Band. Virginia’s regular live music venues also have plenty of music coming. Here’s a rundown of some of the big artists coming to town. The National in Richmond will be bringing a number of big name artists throughout the month. The venue will be hosting Poptone (Aug. 12), The Juliana Theory (Aug. 13), and others. Gordon Lightfoot will perform at the Dominion Arts Center on Aug. 6. Just outside Richmond, the Innsbrook After Hours concert series at the Servpro Pavilion in Glen Allen will host Brothers Osborne (Aug. 2), CMT’s “Nashville in Concert” featuring stars Clare Bowen, Chris Carmack, Charles Esten, and Jonathan Jackson (Aug. 4), Lee Brice (Aug. 10), Dark Star Orchestra (Aug. 17), The Temptations and the Four Tops (Aug. 23), Chris Young (Aug. 24), and I Love the 90s Tour featuring Naughty by Nature, Coolio, Tone Loc, and more (Aug. 30). In Charlottesville, the Sprint Pavilion will host Punch Brothers and I’m With Her on Aug. 8, Lyle Lovett and his Large Band on Aug. 16, and Portugal. The Man on Aug. 21. Over at the Paramount Theater, Buddy Guy will perform on Aug. 23 and Delta Rae will perform at the Jefferson Theater on Aug. 25. 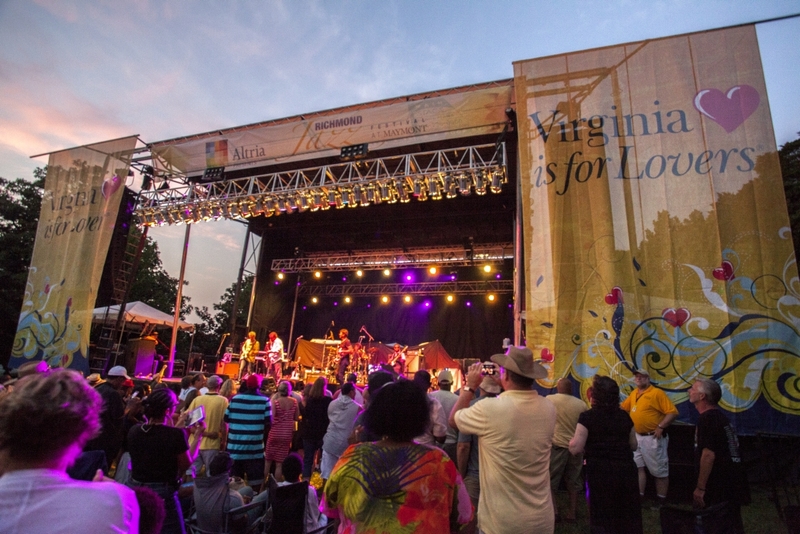 Celebrate Virginia After Hours in Fredericksburg will bring to the stage the Charlie Daniels Band on Aug. 12. The NorVa in Norfolk will be hosting acts like Descendents on Aug. 5 and Social Distortion on Aug. 15. The Veterans United Home Loans Amphitheater at Virginia Beach brings in Florida Georgia Line (Aug. 4), Joe Bonamassa (Aug. 5), Lynyrd Skynyrd and Hank Williams, Jr. (Aug. 11), Mary J. Blige (Aug. 12), Luke Bryan (Aug. 12), Matchbox Twenty and Counting Crows (Aug. 23), Goo Goo Dolls (Aug. 25), and Jason Aldean (Aug. 27). Over in Rocky Mount at the Harvester Performance Center will be hosting a number of shows including Graham Nash on Aug. 6 and Lee Greenwood on Aug. 18. The Blue Ridge Summer Concert Series at the Blue Ridge Music Center in Galax will host the Crooked Road Ramblers and New Ballard’s Branch Bogtrotters (Aug. 5), Barr-Williams & the Cabin Creek Boys (Aug. 19), and Old Crow Medicine Show, Mipso & Amythyst Kiah (Aug. 27). At Wolf Trap National Park for Performing Arts in Vienna, shows will include Punch Brothers (Aug. 2), Blondie and Garbage (Aug. 3), Goo Goo Dolls (Aug. 8), Dashboard Confessional and All-American Rejects (Aug. 10), Lifehouse and Switchfoot (Aug. 13), The Beach Boys (Aug. 20), Kenny Loggins (Aug. 22), Chris Isaak (Aug. 25), Michael Bolton (Aug. 30) and more. 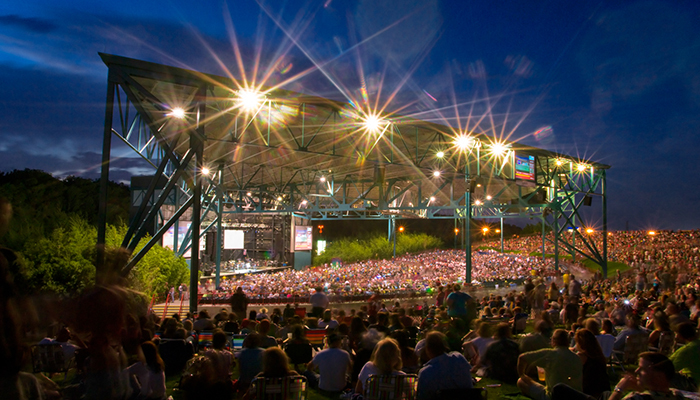 Jiffy Lube Live in Bristow will host a number of shows including Florida Georgia Line (Aug. 5), Styx and REO Speedwagon (Aug. 13), Deep Purple and Alice Cooper (Aug. 23), John Mayer (Aug. 25), and Jason Aldean (Aug. 26).